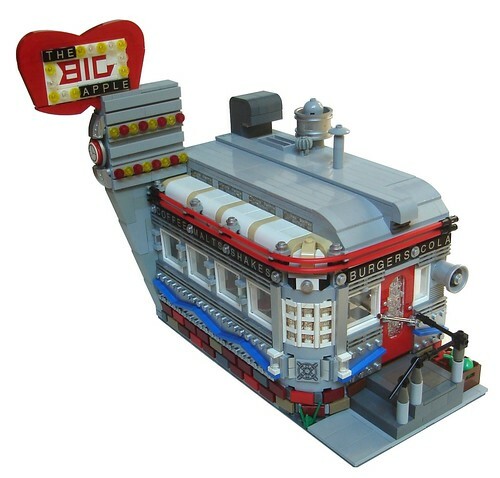 Brick Town Talk: Moderne Masterpiece - LEGO Town, Architecture, Building Tips, Inspiration Ideas, and more! Midtown West, Manhattan - (BTT) Celebrating 70 years of feeding hungry New Yorkers, the Big Apple Diner is still the greasy spoon of choice for the neighborhood's working class. The beautiful Streamline Moderne exterior only gets better as each decade rolls by. I really like this. Great find, yet again!